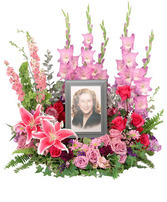 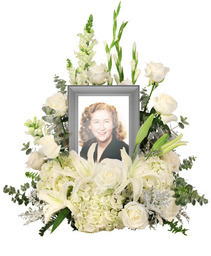 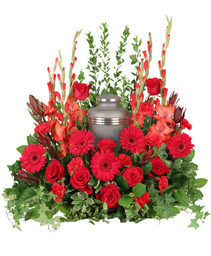 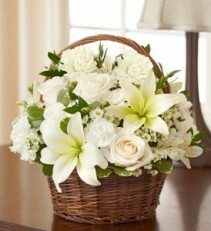 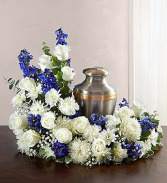 Graceful delphinium, roses, mums, daisies, carnations and baby's breath encircle the stunning urn. 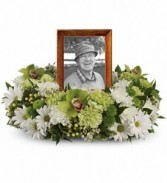 A tribute to a life well lived. 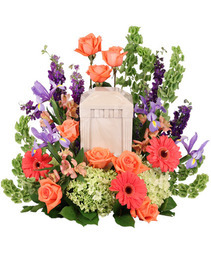 Different color schemes available. 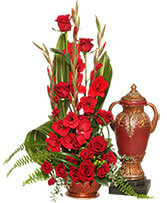 This is our masculine theme.